Since medical spas are medical practices, they are bound by the laws governing medical advertising. The minute you are involved in any kind of medical treatment, you are subject to much more stringent requirements than traditional companies when it comes to advertising your practice. According to the 2017 Medical Spa State of the Industry Report, the three most common marketing techniques for medical spas are digital, including websites, email, and organic social media. Businesses cannot simply rely on word of mouth or good reviews bring in customers—they must create effective promotional campaigns to attract new clients because there is so much competition and because the industry is cash-based, rather than insurance-based. Given this, it is easy for medical spa owners and operators to slip into the mindset that they are going to do whatever they need to do to get people in the door. And while we encourage people to run their medical spas in such a manner, it is important for them to keep in mind that these practices are, above all, medical practices, so they are subject to the same rules and regulations that govern more traditional medical institutions. All state medical boards have certain provisions that deal with medical advertising. Most of them are relatively similar, but it’s important for practitioners to look at and understand their state laws regarding advertising. These rules and regulations are typically fairly easy to find, and most of them are generally similar in that they require absolute, verifiable honesty. Unlike, say, a car dealership or a furniture outlet, the claims a medical outlet makes must be true. For example, if you say, “Dr. Thiersch is the best injector in the state of Illinois,” or “Our nurses are the best injectors in the country,” that is likely to become an issue. A medical board or nursing board is going to see a claim like that and ask what you’re basing this on. It’ll want to know where the proof of this is, and unless you’re prepared to submit something to that effect—which, quite frankly, is impossible—your practice could be in some trouble. In the past, if you perused the in-flight magazines from the major airlines, you may have seen their lists of “best doctors in America.” If you looked at these publications in recent years, however, these lists have been changed to say “among the best doctors in America,” because that is at least somewhat truthful, and the doctors mentioned in these pieces must be concerned about compliance, too. Whether it’s in marketing collateral, on social media, or even using influencer marketing, you need to make sure that everything that’s said about your medical spa is objectively verifiable. You can do this by citing your credentials and your certifications. We previously wrote about misleading titles that are used by some medical spa employees, and those definitely merit mention here too—if you use titles such as “medical esthetician” and “certified laser technician” in your advertising materials, you’re asking for trouble, because you have to prove that you are what you say you are, and in cases such as these, it simply can’t be done. Speaking of influencers, there are also a number of issues to note regarding social media in general, and influencer marketing specifically. In particular, the FTC recently laid down a list of guidelines regarding proper disclosures that must be in place for compliant social media influencer marketing. You can always ask your lawyer to review your advertisements before they’re posted in order to make sure you’re compliant¬. Some state boards will even allow you to submit ads to them to make sure they’re compliant, although the review process tends to take quite a while. 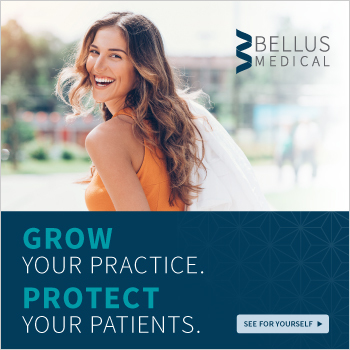 Regardless, it’s very important that your practice does what it can to maintain compliant advertising, because the penalties for violations can be severe. For more information on medical spa laws in your state, check your medical aesthetic legal summary. To learn about legal and business best-practices to keep your med spa compliant and profitable, attend one of AmSpa’s Medical Spa & Aesthetic Boot Camps and be the next med spa success story. Can Aestheticians Do Microneedling in a Med Spa? Microneedling is a trending procedure in med spas, but many owners and practitioners are not clear if aestheticians can legally perform the treatment. The answer to that question, like many regulatory issues in the medical spa industry, can vary depending on what state you practice in. For the much of the United States, however, the answer is likely no. Also known as collagen induction therapy, microneedling is a minimally invasive treatment to rejuvenate the skin. A device with fine needles creates tiny punctures in the top layer of the skin, which triggers the body to create new collagen and elastin. Sign up for AmSpa’s webinar on the Trends, Science and Economics of Microneedling for more information on the procedure. An aesthetician’s license does not permit them to perform medical treatments, but rather aestheticians may only perform procedures for the purpose of beautification. Many med spas look at this standard and assume that aestheticians can perform microneedling, however many state regulatory boards are specifically classifying microneedling as medical treatment, no matter whether the needles penetrate the outer layer of the skin. Illinois and California, for example, specifically listed microneedling as medical treatment in 2016 because they classify the device as medical equipment. At an American Med Spa Association Medical Spa Boot Camp in San Jose Kristy Underwood, executive director of the California Board of Barbering and Cosmetology, gave additional details as part of a 30-minute Q&A. “This isn’t new – aestheticians cannot penetrate the skin,” said Underwood. “They also can’t use any metal needles, period. 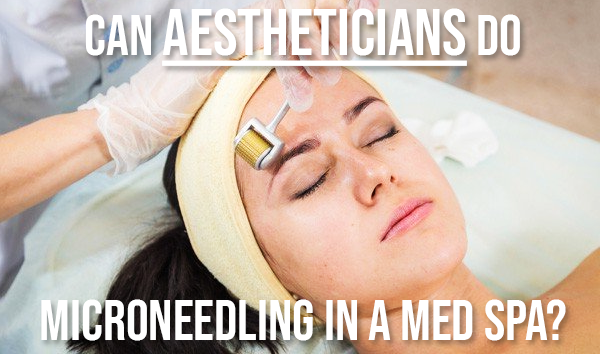 [California] aestheticians are prohibited from using metal needles.” She added that they cannot use anything that might be disapproved by the FDA, cautioning people against the Dermatude device until more information came out from the federal government related to its use. For more business and legal med spa best-practices attend an AmSpa Medical Spa & Aesthetic Boot Camp near you. In some states, however, there are ways in which individuals holding aesthetician licenses can perform certain medical procedures. As noted in this video update, for example, the state differentiates between an aesthetician and a person who is performing medical procedures under the supervision and delegation of a physician. This means that if the patient is examined by a physician or a mid-level practitioner (like a nurse practitioner or a physician assistant) then an individual working in a medical spa may perform microneedling. It is very important to note for aestheticians that if you are going to do this procedure under this caveat you cannot represent yourself as an aesthetician while doing so. This means flipping over your aesthetician name tag and taking down any certification you might have hanging on the wall. The state may allow you as a person to perform this procedure under proper medical supervision, however your regulatory board does not cover this under your license. This sounds onerous, and it is certainly involves more of a pain point than a facial or another aesthetician service, but depending on your state this does not have to be a deal-breaker for offering microneedling services in your medical spa. 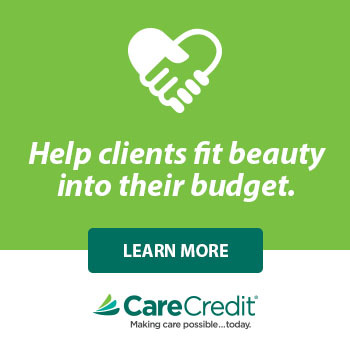 The supervising physician doesn’t have to be in the room watching the aesthetician perform the procedure, and in many states does not have to see the patient before every treatment – just the first one. Regulations can vary greatly depending on where your business operates so it’s very important to know the laws specific to your business. When in doubt consult an attorney in your state familiar with aesthetics. 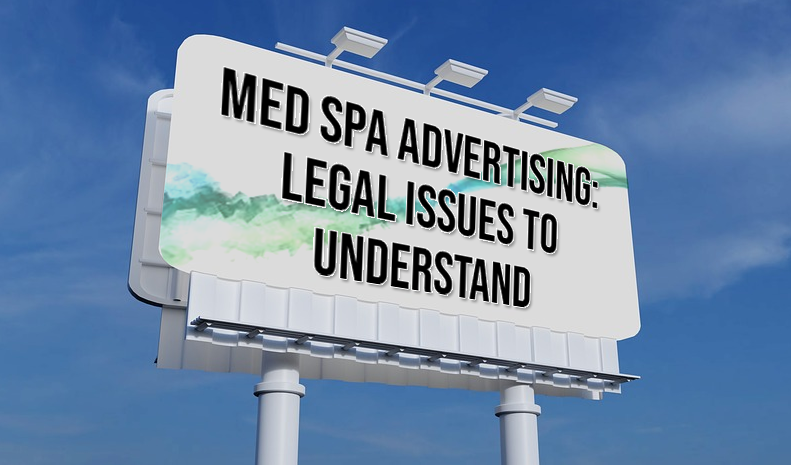 AmSpa members have access to legal summaries of the laws regulating medical spas in their state, as well as an annual complimentary compliance consultation with the law firm of ByrdAdatto. See AmSpa’s Treatment Directory for more information on microneedling.